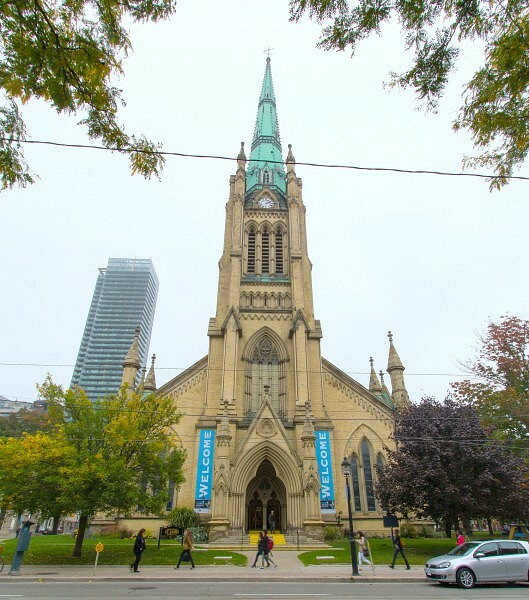 [vc_row][vc_column][vc_column_text]Located in downtown Toronto, St. James’ Cathedral is the city’s oldest Anglican church and a fine example of Gothic Revival architecture. The main body of the Church was completed in 1856 to the designs of Fredrick Cumberland; the porches and tower spire were added by William Storm in 1875, and were designed to compliment the nave. 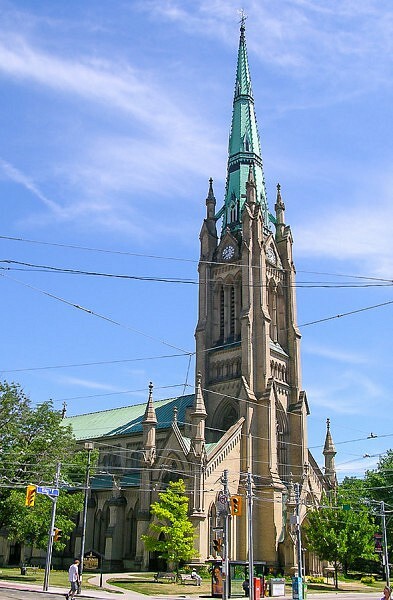 Rising to a height of 305 feet, the bell tower of St. James’ is one of the City of Toronto’s oldest and most significant landmarks. 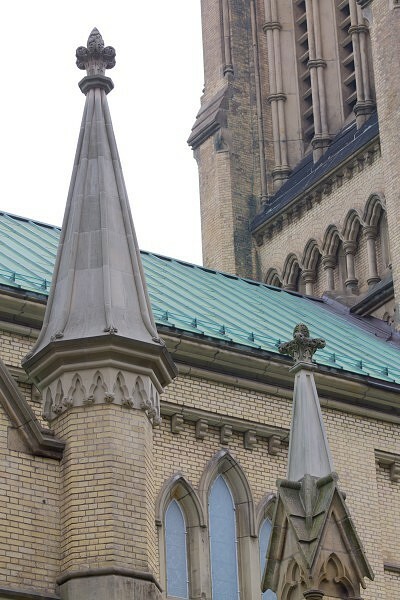 In 2007, ERA was engaged to conduct a condition assessment of the masonry structure, which resulted in a 10-year conservation plan. 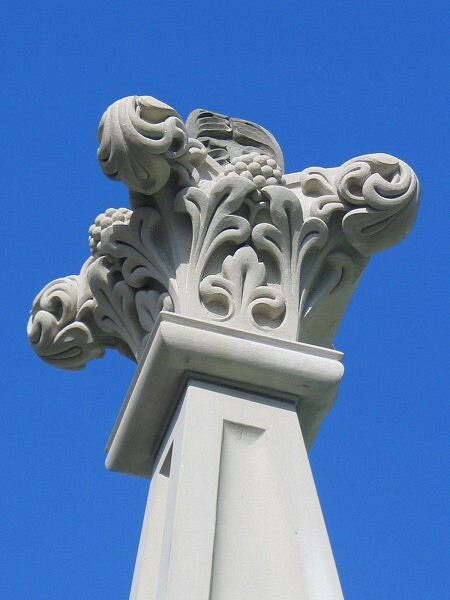 ERA has undertaken several phases of the masonry conservation work, including unit repairs and replacement to the pinnacle masonry, structural repairs to the nave and porch gable walls, foundation wall repairs, and base stone resetting.